On a felony gun charge. 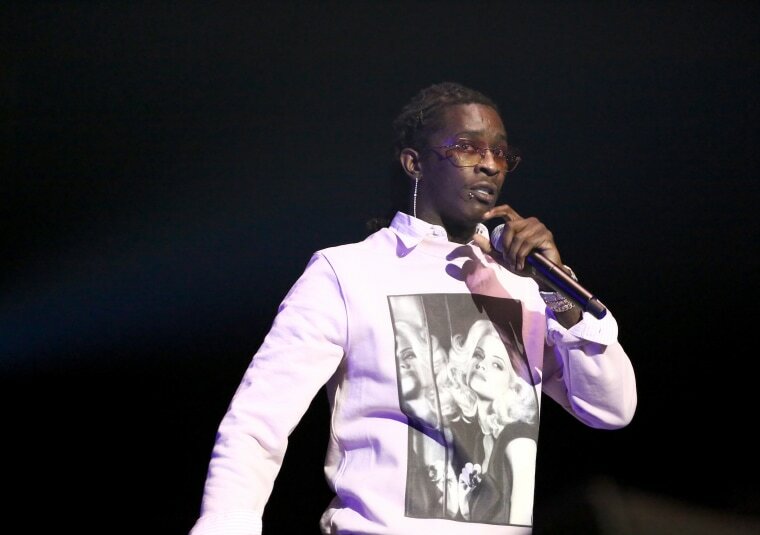 Young Thug was arrested by police in Hollywood in the early hours of Friday. TMZ reports that "a member of Thug's crew ran into a police cruiser, prompting the vehicle search which uncovered multiple weapons." Thug was celebrating the release of new album Slime Language, plus his 27th birthday, with a listening party at Dave & Busters in Hollywood. He can be seen being escorted by police from the venue in footage which has emerged on social media. 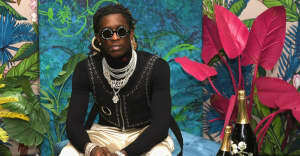 According to TMZ, Thug was booked just after 3 AM for carrying a concealed weapon in a vehicle and is currently being held on a $35,000 bond. The FADER has reached out for further details.